Dr. Pedro Noguera, professor in the Graduate School of Education and Information Sciences at UCLA, served as keynote speaker at SCE's 15th annual Black History Month celebration. (L-r): Janet Clayton, SCE and Edison International senior vice president of Corporate Communications; Chris Thompson, SCE vice president of Local Public Affairs; Earl Jones, treasurer, Bridge Builders Foundation; and Wayne Moore, president, Bridge Builders Foundation. (L-r): Eric Fisher, SCE principal manager; Gloria Burton, SCE Supplier Diversity representative; Rosalind Pennington, board member, L.A. Black Business Association; and Earl ‘Skip’ Cooper, president, L.A. Black Business Association. Bobbie Rose (left) and Tedra Rose, owners of The Original Mommie Helen’s Bakery, received the Energy Efficiency Participation Award from Mike Marelli (right), SCE vice president, Business Customer Division. The 15th annual observance recognizes the African-American community, business partners. Dr. Pedro Noguera, a professor in the Graduate School of Education and Information Sciences at UCLA, believes recognizing Black History Month is important because black history is American history. 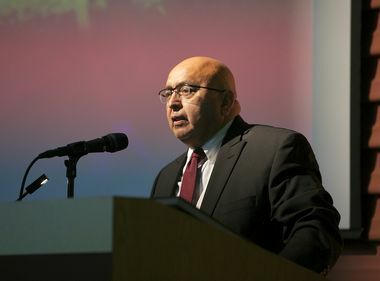 Noguera was the keynote speaker recently at Southern California Edison’s 15th annual Black History Month celebration saluting local African-American community and business partners for their economic growth, and for helping to strengthen their communities. 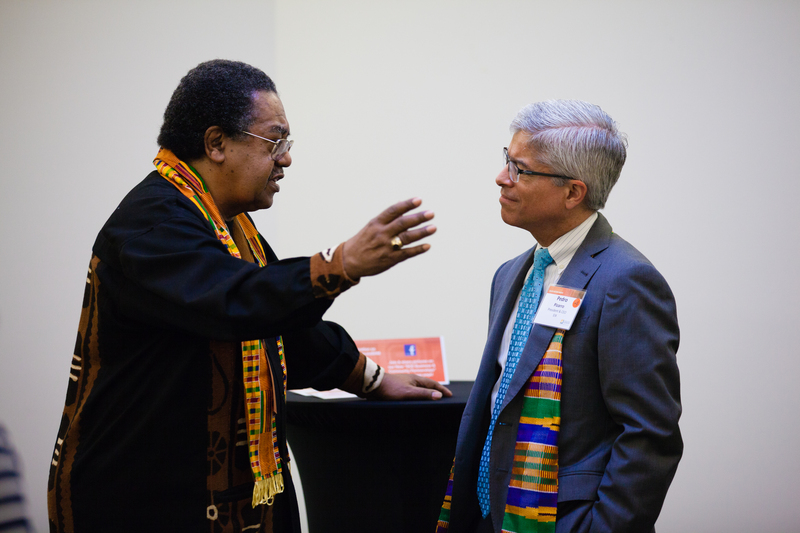 Earl 'Skip' Cooper II (left), president and CEO of the Black Business Association, shares his thoughts with Pedro Pizarro, president and CEO of Edison International at SCE's recent Black History Month celebration. He went on to cite the Academy Award-nominated movie “Hidden Figures” as an example of a significant contribution made by a group of African-American women to America’s space program that was largely unknown. 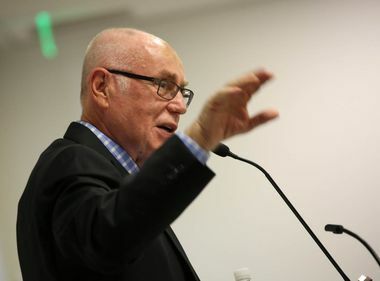 If America’s history was better understood, said Noguera, the country would be very different today — far more committed to justice, to realizing the ideals of the U.S. Constitution and more willing to reconcile its unresolved past. Pedro Pizarro, president and CEO of Edison International, told guests the African-American community is an important element of Southern California’s diverse region and that SCE and Edison International have grown up together in the area and have been a proud part of the community for 130 years. “I want you to know that our values are safety and integrity and excellence, continuous improvement and teamwork and respect, and (to) have respect for each other and respect for our communities is at the core of who we are and that’s why we’re here gathered together to celebrate the African-American community,” he said. Those honored at SCE’s event were The Original Mommie Helen’s Bakery in San Bernardino which received the Energy Efficiency Participation Award; the Bridge Builders Foundation, recipient of the Community Partnership Award; and the Black Business Association of Los Angeles which received the Diverse Business Enterprise Award. Kiesha C. Nix, executive director of the Lakers Youth Foundation, shared her personal story of triumph over being a “quadruple negative” — black, a woman, a single mother and from a low-income area. 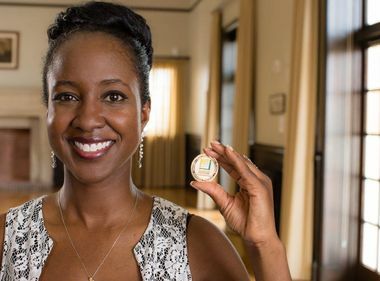 With encouragement and support while working at Merrill Lynch, she rose from backup switchboard operator to managing more than $2 billion in assets which allowed her to financially support her son and pursue her passion to do community work. SCE will also celebrate Black History Month at its Energy Education Center in Tulare on Feb. 24.